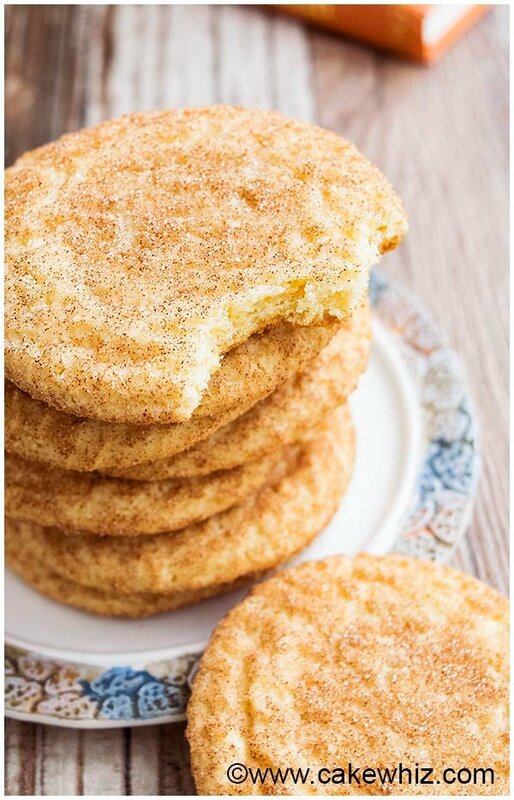 This quick and easy Snickerdoodles cookies recipe yields soft and chewy cookies with crispy, sugary tops. Snickerdoodle recipe without cream of tartar included. I have been searching for the BEST Snickerdoodles recipe for more than 2 years now. After an insane amount of trials and errors, I can now say that this is the most AMAZING homemade snickerdoodles recipe from scratch. They have the texture of soft sugar cookies but instead of vanilla, they are packed with CINNAMON flavor. They are SOFT on the inside, CRISPY and sugary on the outside. 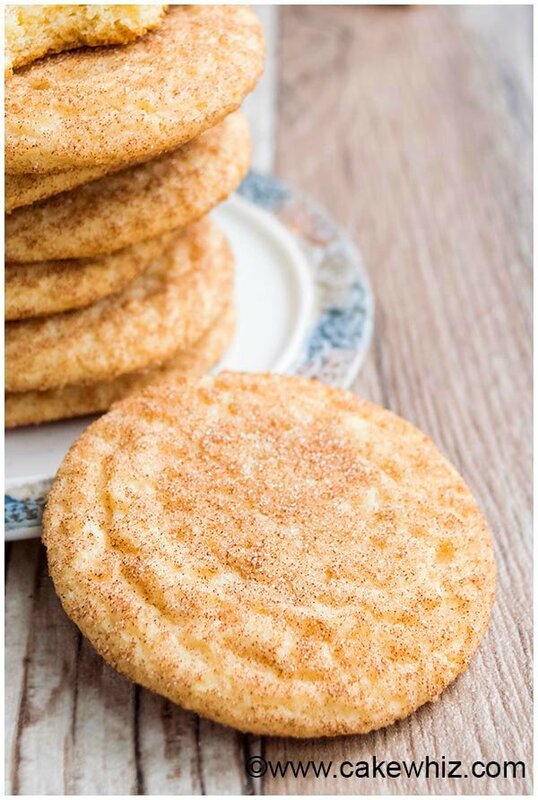 This CHEWY snickerdoodle recipe requires basic ingredients that I bet you already have in your pantry. 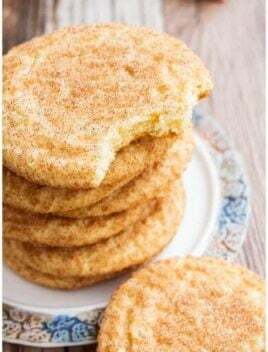 Many recipes I tried had shortening or a combination of shortening and butter but this snickerdoodle recipe without shortening and only butter yielded the most perfect results. 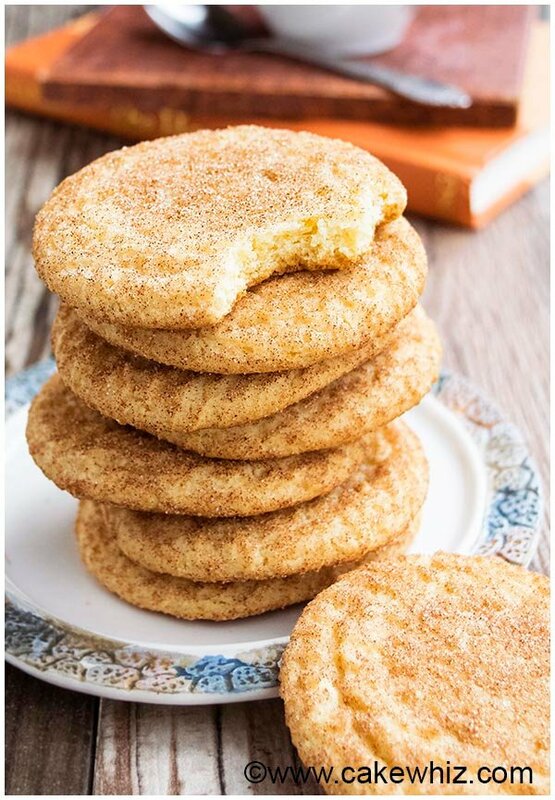 OLD FASHIONED snickerdoodles are the perfect Christmas cookies and their flavor makes it great for Fall and Thanksgiving parties too. 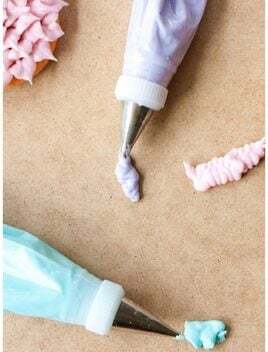 They are also GREAT as a homemade gift during the Holiday season. Can snickerdoodles be made without cream of tartar? Classic snickerdoodles are always made with cream of tartar but YES, you can make them without that ingredient. REPLACE baking soda and cream of tartar quantities in this recipe with 2 tsp baking powder. Why is there cream of tartar in snickerdoodles? Based on my research, that’s what gives these cookies a bit of a tangy flavor and chewy texture. It also helps activate the baking soda. How do you make snickerdoodles? Start off by creaming together butter and sugar. Mix in eggs. Add flour, baking soda, cream of tartar, cinnamon powder, salt and mix until just combined. Chill cookie dough. Make small balls and roll them in a cinnamon sugar mixture. Bake and enjoy! 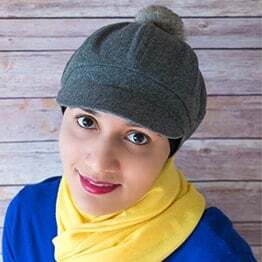 The flavor is a spiced buttery cookie with lots of cinnamon. Why do they call it a snickerdoodle? Based on my research, these cookies have a German origin and is a spin on some German word. There are also stories about a hero named Snickerdoodle and this cookie was supposedly named after him. Do you have to have cream of tartar for snickerdoodles? 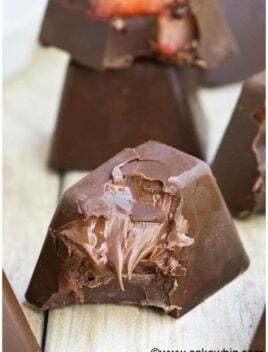 Yes, it is highly recommended to give the perfect texture and flavor BUT you can also use cream of tartar substitute to get similar results (e.g. baking powder). TRADITIONAL snickerdoodle recipes ALWAYS include cream of tartar. 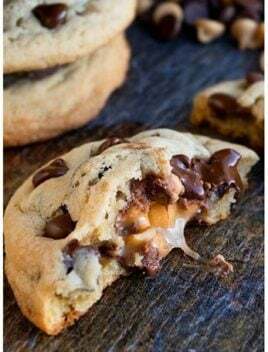 That gives these cookies a bit of tangy flavor and chewy texture. If you don’t have cream of tartar, REPLACE baking soda and cream of tartar quantities in this recipe with 2 tsp baking powder. To PREVENT the cookies from spreading too much wile baking, always CHILL the dough for at least 1 hour. DON’T skimp on cinnamon! These cookies are packed with cinnamon powder and that’s what makes them so flavorful. This cookie dough can be made into small balls and frozen to be baked later (Bake within 1 month). Baked cookies can also be FROZEN to be enjoyed later. Make sure they are packed in sealed freezer bags. 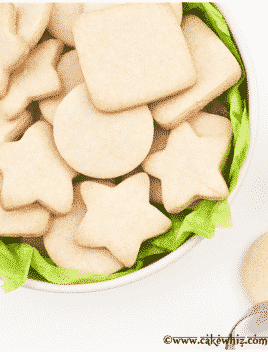 The longer you bake these cookies, the crispier they will get. The cookies will be ready when the edges start to set and become golden brown and the center is still slightly soft. If you want a very thick snickerdoodle cookie, make cookie dough balls, then roll them in cinnamon sugar and place them on a cookie tray but DON’T flatten them and bake as usual. If you want thinner and crispier snickerdoodles, flatten the cookie dough ball slightly and bake a little longer than normal (1 or 2 extra minutes). Some readers have said that they have successfully used Bob’s Red Mill gluten free 1 to 1 baking flour to make gluten free snickerdoodles. I have personally not tried this yet. DON’T replace butter with shortening, margarine or coconut oil because that will alter the texture dramatically. Snickerdoodles with coconut oil spread a lot, when I tried it a few days ago. 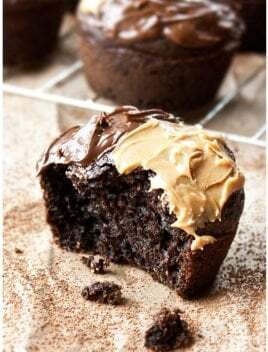 Next on my bucket list is to DEVELOP a chocolate snickerdoodles recipe and a snickerdoodles from cake mix recipe and even a pumpkin snickerdoodles recipe for Thanksgiving/Fall. In a mixing bowl, cream together the butter, granulated sugar and brown sugar. Add the egg and egg yolk and mix until thoroughly combined. In a separate bowl, whisk together the flour, cinnamon powder, cream of tartar, baking soda and salt. Dump this dry mixture into the wet mixture and mix until just combined. Don't over-mix! Chill this dough for at least an hour. Scoop out small portions of the dough and shape them into small balls. Roll them in a bowl of cinnamon sugar. Place them on a cookie tray, lined with parchment paper. If you like, you can flatten them slightly with the palm of your hands (results in thinner cookies). Bake at 350 degrees for 10-12 minutes or until the edges are firm and golden brown and the centers are slightly soft. Enjoy! If you freeze the dough, how do you recommend baking them? Thaw first or adjust the cooking time/temp? If you thaw the dough how long does it usually take? Also, would you roll the cookies in the cinnamon sugar mix before or after freezing the dough? I usually make cookie dough balls and freeze those. Let those thaw in the fridge and then roll them in cinnamon sugar, prior to baking. The baking temperature stays the same and you might have to bake for an additional 1 minute. Don’t freeze cookie dough balls rolled in sugar. It becomes messy when it thaws. Can i freeze the cookie dough for later use? Can these be made with honey as the granulated sugar substitute? No, that would change the consistency of the dough and make it too wet.